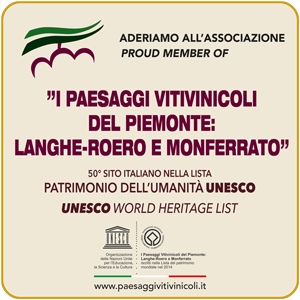 The Wild Woman is characterised, in the Langhe peasant society, as the bearer of an ancient culture, in close contact with nature and its secrets, with jobs linked to seasonality, with the wisdom of the old people interspersed with popular and superstitious religiosity. An ancient tale about the Saliges describes the Wild Women of the Langhe as “recurring figures in the sagas of the Alps, which represent the deepest feminine, bodily and instinctual roots: the archetype of nature wild and free, untouched by civilisation and its discontents”. 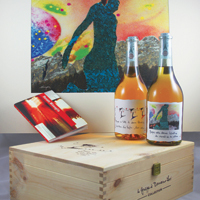 The concept of the Wild Woman was then taken and made famous by Romano Levi, artisan producer of renowned Grappa, poet and label designer, a celebrity in Neive. For him, the Wild Women are visions, memories of the past, of when he went to school on foot and in the street came across “beautiful dishevelled women, who were a little bit crazy, a little bit witches and a little bit fairies”. “As a kid I went to school going through the vineyards. Often, among the rows, there were the so called “ciabòt”, tiny shelters where the tenants and peasants took refuge … I used to pass by there in the morning and sometimes I saw these women coming out of the shelters, beautiful and dishevelled, a little crazy and lonely, often living at the margins of the peasant society. They were mysterious, without constraints, they disappeared and then came back, a little bit like witches and a little bit like fairies. They were free, as all women should be to be able to enjoy the best part of life”.